The terminal renovation project will increase the size of the existing terminal by 50%. Image: courtesy of Gregory Deryckère. 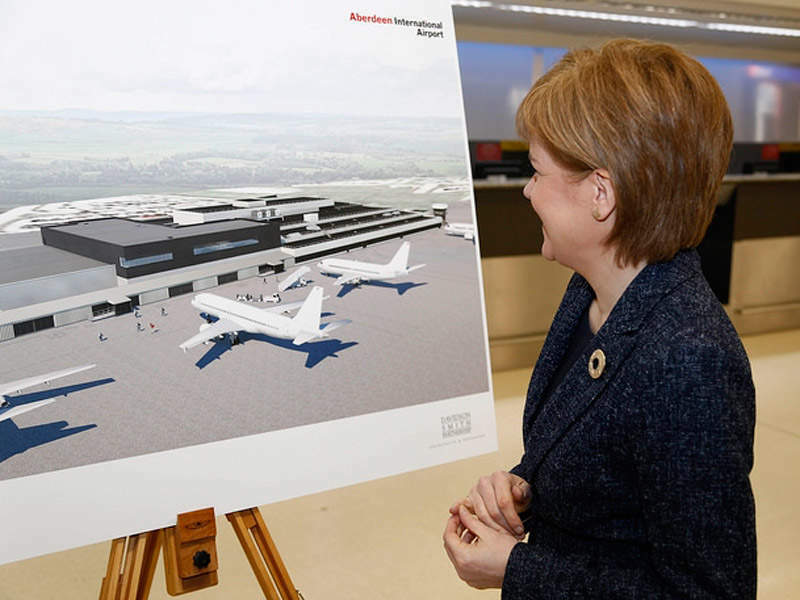 The first minister of Scotland unveiled the transformation project details in February 2016. Image: courtesy of The Scottish Government. The expansion will completely change the look of the terminal. Image: courtesy of the Scottish Government. 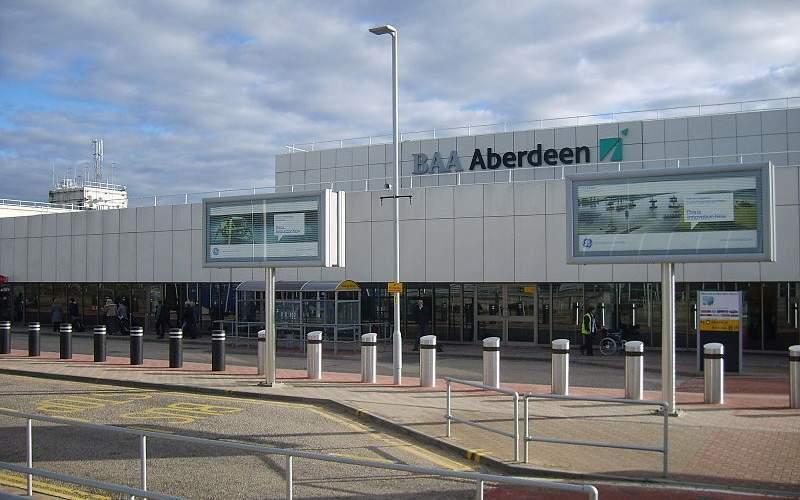 The project is regarded as the most significant upgrade to the airport since 1977, when the existing terminal was first commissioned, and involves the single largest investment by its operator Aberdeen International Airport Ltd (AIAL). Initiated with a £20m ($28.59m) investment, the airport transformation project will increase the size of the terminal building by 50% and will upgrade passenger facilities inside the terminal. According to the airport masterplan, the project will address forecast passenger growth up to 2028, as well as current constraints at the airport. The terminal expansion has been designed to cater to anticipated passenger traffic, which is projected to grow by 20% over the next six years. The first phase of the transformation project commenced in mid-2016 and was completed in May 2017, while the entire project will take three years to complete. The expansion will completely change the look of the terminal by creating various amenities to meet passenger needs. It includes the development of two new single-floor business lounges, passenger lounges, an immigration facility, domestic and international arrivals facilities, an expanded security search area, new retail and catering layout in the main departure lounge, as well as international and domestic baggage reclaim facilities. The first phase of the project included the construction of a new two-storey extension to the south of the existing terminal. Ground level of the extension features all facilities for international arriving passengers, including an immigration waiting area and a domestic baggage reclaim, while the upper level has two business lounges. Phase two, which will be completed in 2018, will move the central search area and duty-free area in the ground level to a new place, creating more space for catering and shopping facilities. The security area will be completely refurbished with the latest technology and more search lanes will be installed adhering to regulatory requirements. The departure lounge will also be reconfigured during the same period. During 2019, the final construction phase will include the expansion of the departure lounge area to create more space to relax. 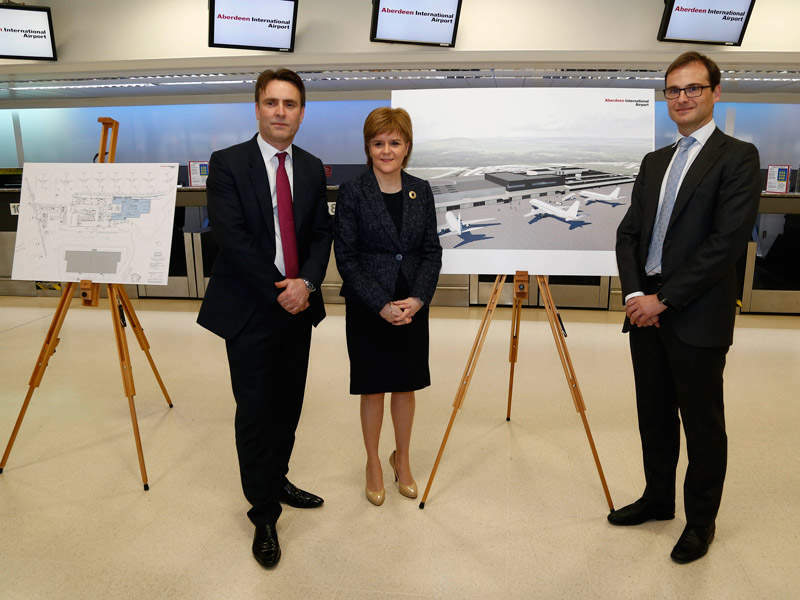 London-based architectural and designer firm, The Design Solution has been appointed to design the main terminal project. The contract included a strategic review of current facilities and a total re-planning exercise to create a terminal. The construction contract has been awarded to Balfour Beatty, a global infrastructure group based in London. "The terminal expansion has been designed to cater to anticipated passenger traffic, which is projected to grow by 20% over the next six years." The Airport Master Plan 2013 forecasts that passenger traffic at the airport will reach four million by 2020 and suggested the developments required to accommodate growth. The security search area and departure lounge areas will be further developed according to growth and demand. The international arrivals area will also be upgraded to have sufficient capacity and to deliver an enhanced customer experience. Other parts of the terminal building will also be upgraded and refurbished to provide a more efficient facility to meet the expectations of passengers and airlines. Other proposed projects include landside layout redevelopment, and expansion and upgrade of the airside retail area and departure lounge space. Some capacity enhancements are also proposed to the northern walkway and boarding gates, including additional weather protection for passengers. Nedap AVI is a leading specialist in solutions for long-range identification and wireless vehicle detection. Nedap systems are installed to optimize, monitor and control the flow of vehicles and people in cities, at industrial sites and in buildings. The Dutch technology company Nedap is the leading specialist in solutions for long-range RFID with more than 30 years of RFID experience.